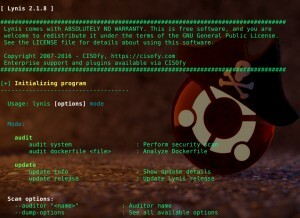 Browse: Home / Lynis v2.2.0 : is a system and security auditing tool for Unix/Linux. 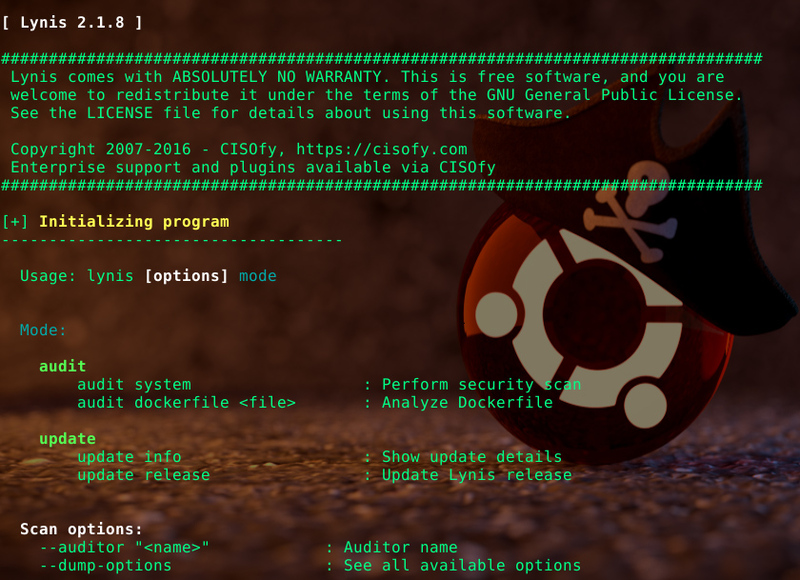 Lynis v2.2.0 : is a system and security auditing tool for Unix/Linux. operating system. Some functions were fortified to handle unexcepted results better, like missing a particular binary, or not returning the hostname. This release also enables tests to be shorter, by adding new functions. Some functions were renamed or slightly changed, to provide more value to the tooling. need, or want to test and enforce the system hardening levels of their systems. Last but not least, many small changes make this software easier to use. On our website we added new guides to provide help and support. We like to thank our contributors, in particular Kamil Boratyński, Steve Bosek, and Eric Light. Their contributions helped us greatly shaping this release. Detection for CFEngine has been improved. Also additional logging and reporting of automation tools. Depending on the operating system, Lynis now tries to determine if failed logins are properly logged. This includes checking for /etc/login.defs file [AUTH-9408]. Merged previous password check for Solaris into test AUTH-9228. User ids on AIX will be gathered and added to the report [AUTH-9234]. Note that additional tests will be implemented in future releases and then tagged to these particular standards. Support added for Unbound DNS caching tool [NAME-4034], including a configuration check [NAME-4036]. Test for IPFW firewall on FreeBSD has been improved: status of pflogd will no longer be displayed, when pf is not available. 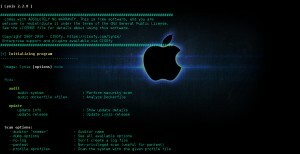 New test FIRE-4532 introduced for detection of the Mac OS X application firewall. Also, the status of application firewalls is audited now. Test added to include osqueryd as a supported tool. Detection of firewire is enhanced (both ohci and core detected). produces is also enhanced, to be more detailed for several tests. ESET and LMD (Linux Malware Detect) have been added. Discovered malware scanners are also logged to the report. FILE-6374 is expanded to test for multiple common mount points and define best practice mount flags. Best practices for IPv6 configuration on Linux are now collected. Also network interface names from most operating systems. longer displayed when only a subset of tests is performed. FreeBSD systems can now use service command to gather information about enabled services. Several paths have been added to allow better detection on systems running FreeBSD and others. AUTH-9286 change has been extended to both capture minimum and password age. A proxy can now be specified in the profile, to allow uploads via a HTTP or SOCKS proxy. SystemV init is now detected. Multiple configuration tests of SSH are now merged into SSH-7408. This enables easier testing later on and reduces repetition. before gave error as it found directory /usr/libexec/docker. Check file permissions for Docker files, like the socket file [CONT-8108]. includes improved logging, and support for other operating systems. – When using pentest mode, it will continue without any delays (=quick mode). – Plugins execution is improved, with improved logged and counting of active plugins. – Data uploads: provide help when self-signed certificates are used. – Improved output for tests which before showed results as a warning, instead of just as a suggestion. – Lynis now uses different exit codes, depending on errors or finding warnings. This helps with automation and any custom scripting you want to apply. – Preparations to allow compressing the Lynis report file and enhance uploads. – Added –config option to show what settings file or profile is used. – Tool tips are displayed, to make Lynis even easier to use. – Show a warning if the release is older than four months. – PID file has additional checks, including cleanups. 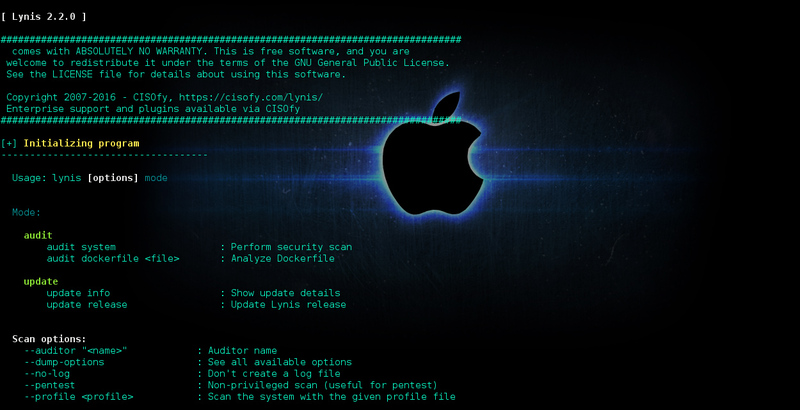 Lynis is a security auditing for Unix derivatives like Linux, BSD, and Solaris. It performs an in-depth security scan on the system to detect software and security issues. Besides information related to security, it will also scan for general system information, vulnerable software packages, and possible configuration issues. We believe software should be simple, updated on a regular basis and open. You should be able to trust, understand, and even alter the software. Many agree with us, as the software is being used by thousands every day to protect their systems. ← Fluxion is the future (a tool helps to automate the process of testing router WPS/WPA vulnerability).